This location is a SkyVenture 14 foot recirculating tunnel. Flyers can enjoy the high-speed 14 foot flight chamber or one of the other attractions of the attached facility. The entertainment complex features an indoor ski slope and more. 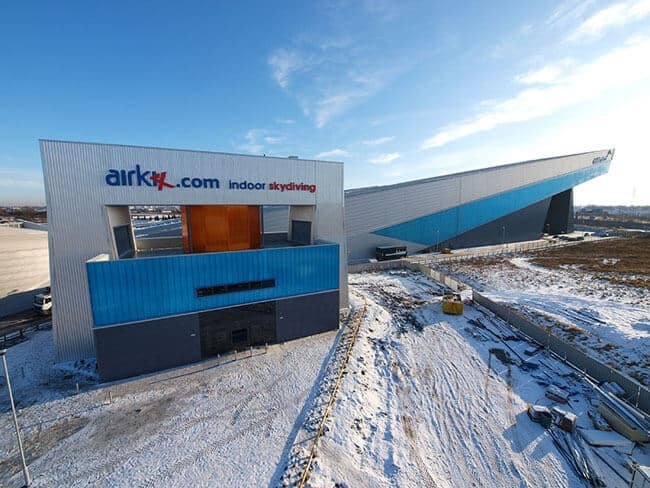 The location was formerly known as Airkix Manchester and was re-branded under the iFLY name in 2016. 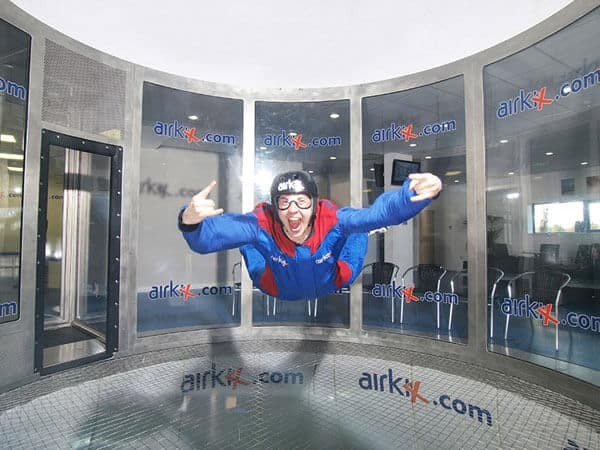 My wonderful wife Glen Mills who will be 83 in February has to date flown 132 minutes in the wind tunnel at iFLY Manchester. but this does not stop her enjoying her once a week visit to fly. The pleasure this gives her and the feeling of being free is immense. The instructors are so patient and the support from the staff is wonderful. So you can imagine we meet many people from all walks of life,from first time fliers to return flyers as well as pros along with sky divers polishing their skills. 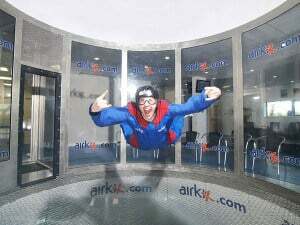 To meet amputees, blind People and sufferers of cerebral palsy who also fly in the tunnel is absolutely wonderful. The starting age is 3 years old with no upper limit. So why not give it a go and find a new experience.